Abstract: The Health Humanities is a new field that has grown out of and expanded on the work begun in the "medical humanities," an area of study established in the mid-twentieth century. This paper discusses the evolution of the field and examines the effects that changes in publishing may hold for its continued development, including open access, pre-print servers, textbooks, ebooks, blogs, and other innovations that might presage a non-print—and even post-text—future. The Health Humanities is a new field that has grown out of and expanded on the work begun in the "medical humanities," an area of study established in the mid-twentieth century. The ideas I will discuss regarding the evolution and path of publishing in this field come out of my work with Erin Lamb, Ph.D., at Hiram College, as well as a December 2017 special issue of the Journal of Medical Humanities that focused on undergraduate (baccalaureate) education, where health humanities is finding the most support (Berry, Jones, and Lamb 2017). In 1925, just a few years after calling for greater science education in medical training, Abraham Flexner wrote that he had intended for students entering medical school to have a background in the liberal arts that include aesthetics, history, and philosophy rather than a curriculum that eschewed the humanities in favor of mostly science (Doukas, McCullough, and Wear 2010). E. E. Reinke of Vanderbilt in 1937 called for "leavening technical training with a liberal education" (Bleakley and Jones 2014). However, it is not until 1948 that the term "medical humanities" appeared. George Sarton wrote a review of a book by Edmund Andrews, a physician who died at age 48. Sarton says in Isis, official publication of the History of Science Society (USA), "His death at the early age of 48 is a sad blow to the medical humanities . . ." [Italics added] (Sarton and Siegel 1948). A more complete history can be found at the Health Humanities Consortium website. 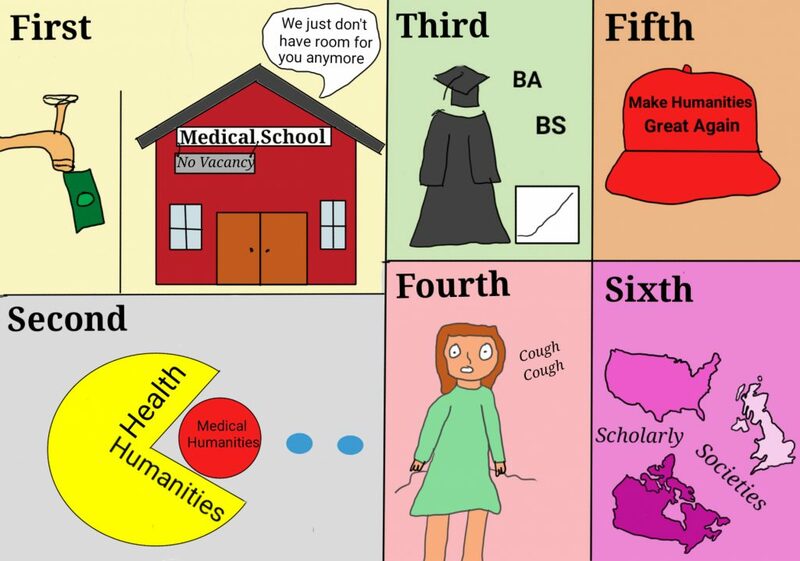 In more recent years, the move from medical to health humanities has been driven by a number of factors. First, decreasing funding and curricular time has led to a decline in the humanities in medical schools (Klugman 2017b). My study found that there are fewer required standalone classes as the humanities has lost footing in the move toward integrated teaching. Second, Jones et al. published a 2017 article explaining that the term medical humanities was too narrow given that many health care providers come from other health professions. They argue that a move toward inter- and multi-disciplinary approaches to learning, changes in pedagogical theories, acknowledgment that health is based on social determinants of which medicine is a small component, and the adoption of critical studies perspectives have led to a realization that medicine and health are two different things (Jones et al. 2017). The former is about using technology and knowledge to change the body’s operation, whereas health is about a state of being. Third, there has been an exponential increase in health humanities (pre-health curriculums) in the undergraduate (baccalaureate) arena as demonstrated by a Hiram College Center for Literature and Medicine survey tracking the growth of such programs throughout the U.S. (Berry, Lamb, and Jones 2017). Fourth, as Dr. Lamb and I will argue in our book, the health humanities acknowledges that health and thinking about the human condition are the purview of not just health practitioners but also people who are or will be patients and lay care providers—in other words, everyone. Fifth, the term health humanities places the humanities first, to be studied for their own sake, not simply as instrumental tools for helping doctors learn observation, communication, and other skills to promote their humanism and humanitarian bent. Sixth, The last few years have seen the establishment of scholarly health humanities societies in the UK (2011), US (2015), and Canada (2017). In the midst of this change has been the publication of multiple books that focus on health humanities as an area of teaching and scholarship that is unique and separate from medicine. Oxford University Press, Palgrave, and Routledge are developing a number of books in this growing area. When finding a home for our upcoming volume, Dr. Lamb and I were faced with the future of publishing. Several publishers asked if we would be open to having a PDF-only version of the book because they thought it would be too expensive and take too much time to produce on paper; printing has become very expensive. But with our feet in traditional scholarship, we wanted both a printed volume and an electronic version. My 2016 textbook Medical Ethics that taught bioethics through a humanities lens is priced at over $200, which is simply too expensive to be used as a textbook, including in my own classes. I did learn that my university’s library could purchase an electronic copy of the book that would be accessible to all registered students for free, allowing me to use the book I edited. Although we love the feel of a text in our hands, the smell of paper, the feel of the grain, and the sense of holding the weight of the words, the future is electronic. 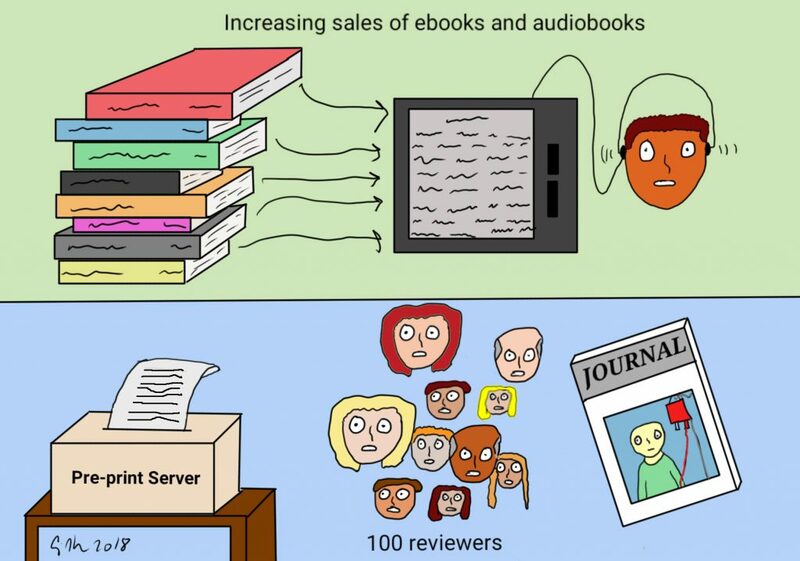 According to authorearnings.com (2018), more books are sold in electronic than in print form. This statistic matches others showing that sales of ebooks increased year over year (Fuller 2018). I was a reluctant adopter of the ebook: I was given a Kindle e-reader as a birthday present about a decade ago. I put it aside and ignored it for six months until I was leaving on a long trip and realized the weight of the books I wanted to bring was substantial. I bought the books in electronic form and have not looked back since. I no longer have shelves weighed down with new books (and given that I just had to move offices, I appreciated not having as much to pack). Instead, I have ebooks readily available on my reader, desktop, and cell phone. The e-books are searchable and include my notes and highlights. In many ways, ebooks are friendlier to scholarship than their paper counterparts. Another trend in scholarly printing is the rise of the pre-print server. arXiv.org and bioRxiv are two examples from physics and the biological sciences. With a pre-print server, researchers upload near-final drafts of their articles that can then be read by scientists all over the world. Those readers can leave comments and suggestions openly, with a trail of who said what. This is similar to peer review but with potentially hundreds of reviewers rather than two or three. Authors use these comments to write a final draft for submission to academic journals, which do not consider pre-print servers to be first publication (unlike posting drafts on your own website or academic social media, which is considered first publication). In fact, pre-print servers have been suggested as a solution to the problems of peer review, a 17th-century invention that is filled with conflicts of interest and favoritism (Harris 2018). Third, consider the rise of independent and open-access publishing. The cost of print journals increases by 6% each year, while the majority of libraries have flat budgets. I looked at the cost of the JAMA journals for a PhD-granting university like mine without a medical school, and the cost for these publications would be close to $8,300 per year. For MD and DO schools, that cost is over $27,000 per year (The JAMA Network 2018). If I just want to read a single article, that price is $39 for a download. This is to access versions of articles that we wrote and provided for free to these journals. The result is that libraries increasingly reduce the number of titles that they carry. Publishing a print article in a journal can take up to 18 months in many fields, and publishing a book can take 1–4 years. Thus, there is a movement toward authors and scholars having more control over publishing by reducing the cost to readers. 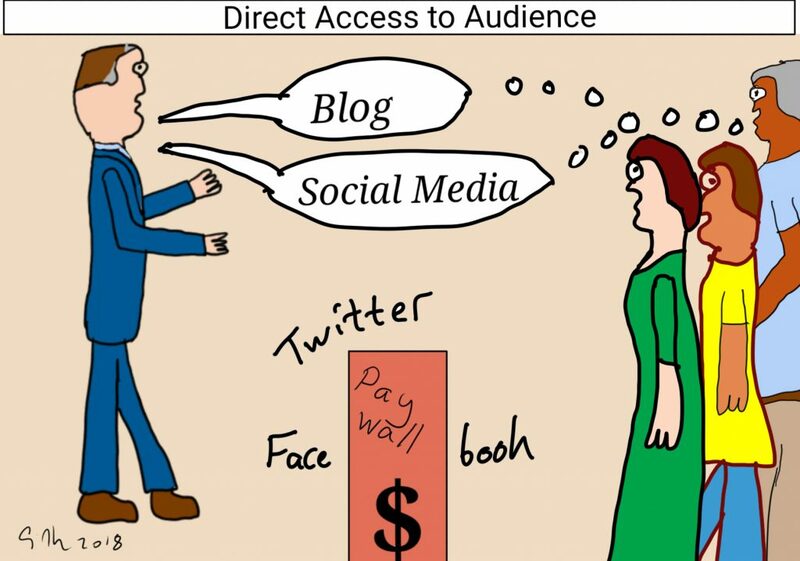 Many grants now require that articles be made open-access, that is, outside a pay wall so that they are accessible to everyone (although this is mostly done for online versions of traditional journals). We can also self-publish on Amazon for free and charge just a few dollars for people to read our books. A fourth trend is the growth of blogging—scholars connecting directly to readers. Since 2012 I have been blog editor and writer for bioethics.net. During this time I have written more than 350 posts and trained a dozen people in this work. Based on our analytics, each post is read by 2,500 people, and at least 14,000 people at least see the title of each article. These pieces are widely, easily, and freely available and are read by scholars, policymakers, journalists, and activists. These posts have led to invitations to give talks, consulting (both public and private), and media interviews. Posts are shorter (often 800 words), have links (like in this piece), and allow for more experimentation (I can go back and edit, even after the piece is released to the world). In a 2018 special report in The New York Times, the question was posed whether print (prose) was dying in place of an image-based future. The idea is that all of the great innovations in tech are in cameras, speakers, microphones, and screens and the technology is pushing us toward a non-text future. Instead of text we have the rise of memes, GIFs, audio, and tweets (Manjoo 2018). In the past year, nearly 25% of US adults did not read a book (Perrin 2018). Some academic publishers are thinking in this direction. At the American Journal of Bioethics, we are creating comics that summarize our articles—an addition that we have already made for the blog—as well as filming short videos in which authors explain their articles. The founding and growth of Graphic Medicine demonstrates the success and interest in this approach to image-based communication. Other trends include the rise of audio books over print books. In 2017, there was a 21.5% increase in the number of audiobooks sold and 54% of those buyers are under age 45 (Audio Publishers Association 2018). At the same time, there is a rise in podcasts. Over 70 million Americans listen to podcasts, approximately 44% of the entire population (Shearer 2018). Most policy and political conversations these days seems to occur through social media, 240 characters at a time. Yet, people under age 25 are fleeing Facebook in favor of Instagram and Snapchat, forums that rely heavily on emojis and visual language instead of letters (Marotti 2018). I serve on the board of Studio Chi, DePaul University’s digital humanities lab. In many cases, ideas that could only be represented through long textual descriptions, can now be shown visually—from mapping changing neighborhoods and their inhabitants over time to examining the spread of disease in a community, to recording satellite sounds and turning them into art, creating computer art, and even mapping where Shakespeare’s plays take place. Such images create new ways of understanding and interacting with what would previously have been possible only with text. Thinking even further in the future, Michio Kaku (2018), the physicist and author of The Future of Humanity: Terraforming Mars, Interstellar Travel, Immortality and Our Destiny Beyond Earth said that humanity is close to being able to download memories into our brains. He also said that instead of reading a book on a famous figure, we can interact with a virtual construction of that person, an experience I recently experienced in the holography hall at the Illinois Holocaust Museum. 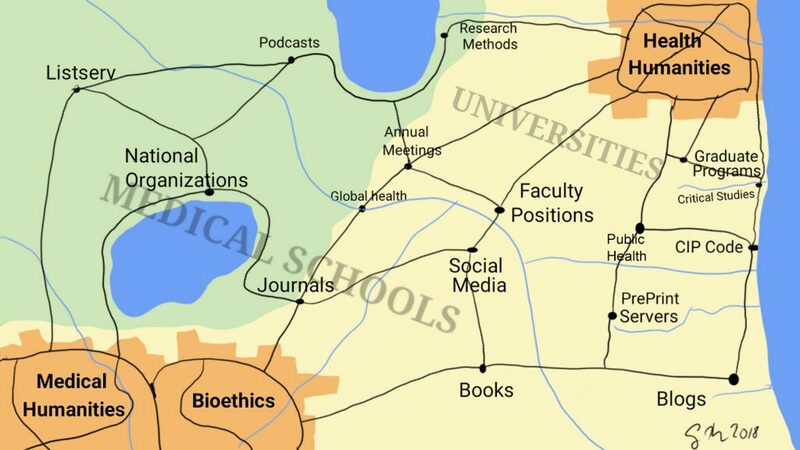 The health humanities has a rare opportunity to chart our own course, to map our own future as we move from being a field to perhaps becoming a discipline, someday. It takes work to define ourselves, from creating core curriculums to building majors and masters, from creating courses and projects to developing research methods, from developing publication outlets to contributing to a post-text, preprint-server future. 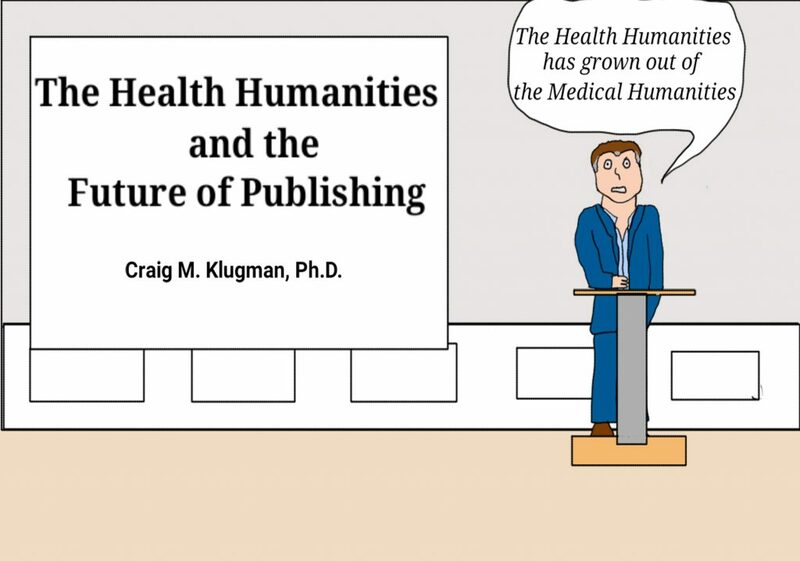 The future of pedagogy and publishing in the health humanities is whatever we want it to be. Our companion field, bioethics, evolved in different ways through individuals and centers pursuing competing dreams. Some critics argue that at some point, bioethics was taken over by the very bureaucrats it began by criticizing, becoming an insider and losing objective distance (White, Shelton, and Rivals 2018; Loewy 2002). We can choose to follow a similar path and see what evolves, or we can be more deliberate in creating our future through collaboration and strategic planning. As health humanists, we are limited only by our imagination, but we are obligated to choose our path or, as with bioethics, it may be chosen for us—to soar or to be absorbed. Audio Publishers Association. 2018. “Another Banner Year of Robust Growth for the Audiobook Industry.” https://www.audiopub.org/uploads/pdf/2018-Consumer-Sales-Survey-Final-PR.pdf. Accessed September 13. Author Earnings. 2018. “January 2018 Report: US Online Book Sales, Q2–Q4 2017.” http://authorearnings.com/report/january-2018-report-us-online-book-sales-q2-q4-2017/. Accessed September 13. Berry, Sarah, Therese Jones, and Erin Lamb. 2017. “Editors’ Introduction: Health Humanities: The Future of Pre-Health Education Is Here.” Journal of Medical Humanities 38 (4): 353–360. Berry, Sarah L., Eric Gentry Lamb, and Therese Jones. 2017. Health Humanities Baccalaureate Programs in the United States. Center for Literature and Medicine, Hiram College. https://www.hiram.edu/academics/centers-of-distinction/center-for-literature-medicine/baccalaureate-health-humanities-programs-in-the-u-s/. Accessed July 12, 2018. Bleakley, Alan, and Therese Jones. 2014. “A Timeline of the Medical Humanities.” In Medicine, Health and the Arts: Approaches to the Medical Humanities, edited by Victoria Bates, Alan Bleakley, and Sam Goodman, 281–283. London: Routledge. Doukas, David J., Lawrence B. McCullough, and Stephen Wear. 2010. “Re-visioning Flexner: Educating Physicians to be Clinical Scientists and Humanists.” American Journal of Medicine 123 (12):1155–1156. Fuller, Steve. 2018. “E-book—Statistics and Facts.” Statista, Inc. https://www.statista.com/topics/1474/e-books/. Accessed September 13. Harris, Richard. 2018. “Scientists Aim to Pull Peer Review Out of the 17th Century.” NPR Shots. https://www.npr.org/sections/health-shots/2018/02/24/586184355/scientists-aim-to-pull-peer-review-out-of-the-17th-century Accessed July 12. Jones, Therese, Michael Blackie, Rebecca Garden, and Delese Wear. 2017. “The Almost Right Word: The Move from Medical to Health Humanities.” Academic Medicine 92 (7): 932–935. Kaku, Michio. 2018. The Future of Humanity: Terraforming Mars, Intersteller Travel, Imortality, and Our Desinty Beyond Earth. New York: Penguin Random House. Klugman, Craig M. 2017a. 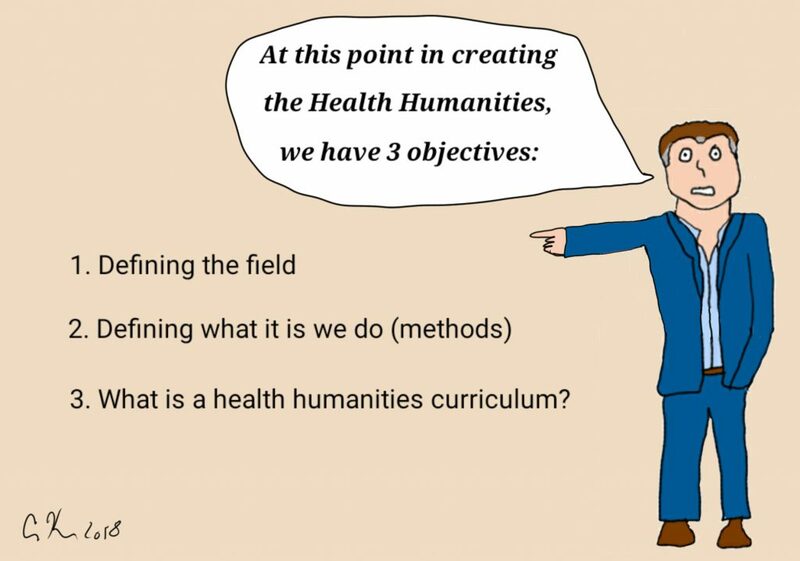 “How Health Humanities Will Save the Life of the Humanities.” Journal of Medical Humanities 38 (4): 419–430. Klugman, Craig M. 2017b. “Medical Humanities Teaching in North American Allopathic and Osteopathic Medical Schools.” Journal of Medical Humanities 38 (no issue). Loewy, Eric H. 2002. “Bioethics: Past, Present, and an Open Future.” Cambrige Quarterly of Health Care Ethics 11 (4): 388–397. Manjoo, Farhad. 2018. 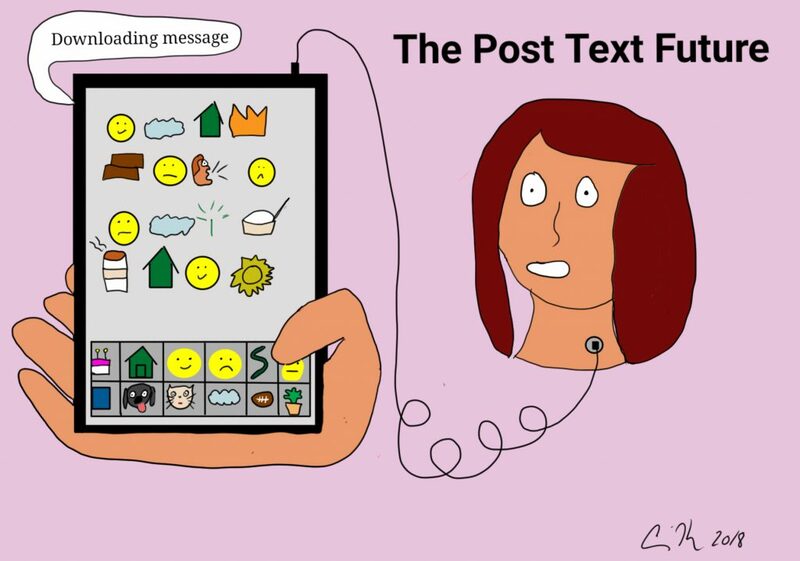 “Welcome to the Post-Text Future: State of the Internet.” New York Times. https://www.nytimes.com/interactive/2018/02/09/technology/the-rise-of-a-visual-internet.html. Accessed September 13. Marotti, Ally. 2018. “Younger Users Flee Their Parents’ Favorite Social Network, Facebook, at Surprising Pace.” Chicago Tribune. http://www.chicagotribune.com/business/ct-biz-younger-users-leaving-facebook-20180212-story.html. Accessed September 13. Perrin, Andrew. 2018. “Who Doesn’t Read Books in America?” FactTank. http://www.pewresearch.org/fact-tank/2018/03/23/who-doesnt-read-books-in-america/. Accessed September 13. Sarton, George, and Frances Siegel. 1948. “Seventy-First Critical Bibliography of the History and Philosophy of Science and of the History of Civilization (To October 1947).” Isis 39 (1/2): 70–139. Shearer, Elisa. 2018. “Audio and Podcasting Fact Sheet.” The Pew Research Center. http://www.journalism.org/fact-sheet/audio-and-podcasting/. Accessed September 13. The JAMA Network. 2018. “2018 Pricing for Institutions.” Chicago: JAMA Network. https://archotol.jamanetwork.com/DocumentLibrary/Marketing/JN-rate-catalog-2018-web-pricing.pdf. Accessed September 13. White, Bruce D., Wayne N. Shelton, and Cassandra J. Rivals. 2018. “Were the ‘Pioneer’ Clinical Ethics Consultants ‘Outsiders’? For Them, Was ‘Critical Distance’ That Critical?” American Journal of Bioethics 18 (6): 34–44.